This past weekend some of my husband's family came to visit. In my world, guest = baking. I have been all about trying new recipes lately. Some have been good, some have been ok, and some have been great. This recipe falls under the great category, so I just had to share it. These only have candy corn in their name because of their appearance. 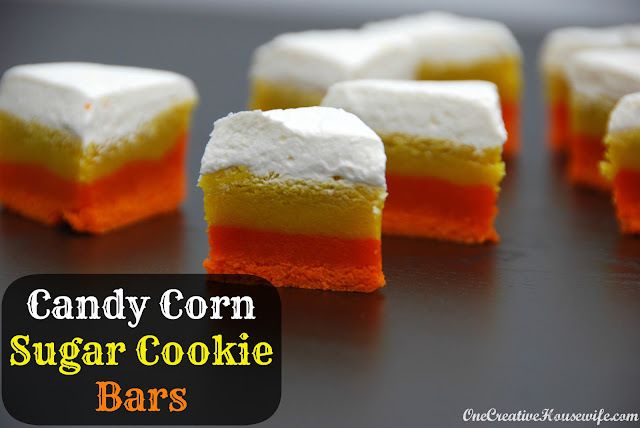 They taste like an amazing sugar cookie with just the right amount of frosting. Not too blah, not too sweet, just right. 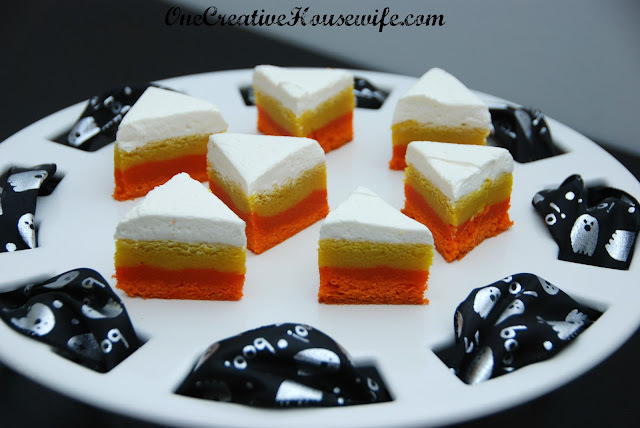 I love that you could make them for any occasion and just change the colors to suit it. 2. Line a 9"x13" baking dish with foil, and spray light with cooking spray. Set aside. 4. Add eggs and flavoring. Mix until combined. 5. Add flour, salt, and baking soda. Mix until combined. 6. 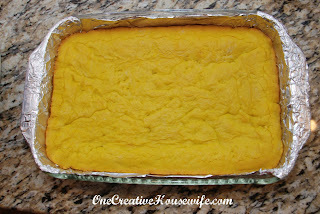 Divide the batter in half and color half orange and half yellow. 7. 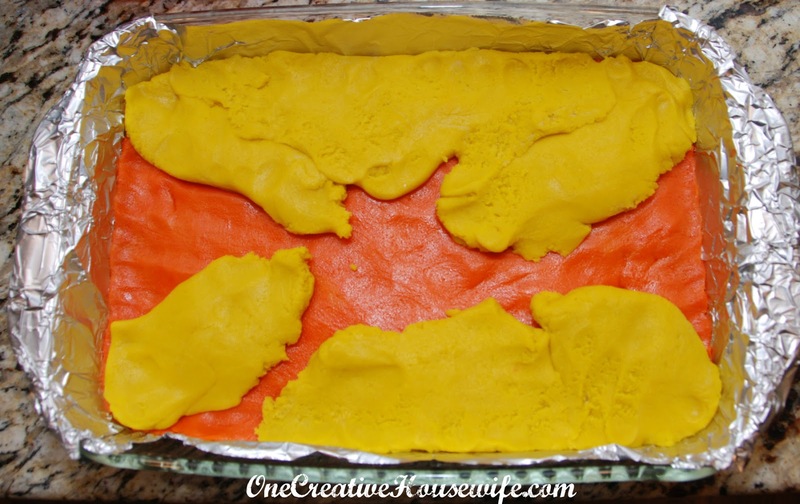 Spread the orange layer in the prepared pan. 8. 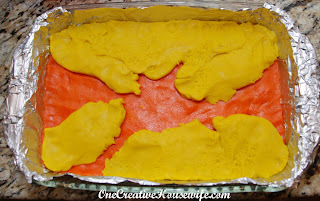 Layer the yellow dough on top of the orange dough. I found this was easier when I took small sections the yellow dough and flattened it in my hand and pieced it together in the pan until all the orange is covered. 9. Bake for 20-25 minutes. Until very slightly browned on the top. Frosting - You probably won't need this entire amount of icing. 1. Beat the butter and shortening together until smooth. 2. Slowly beat in the powered sugar, vanilla, and milk. 3. Beat on medium until fluffy and smooth. 4. 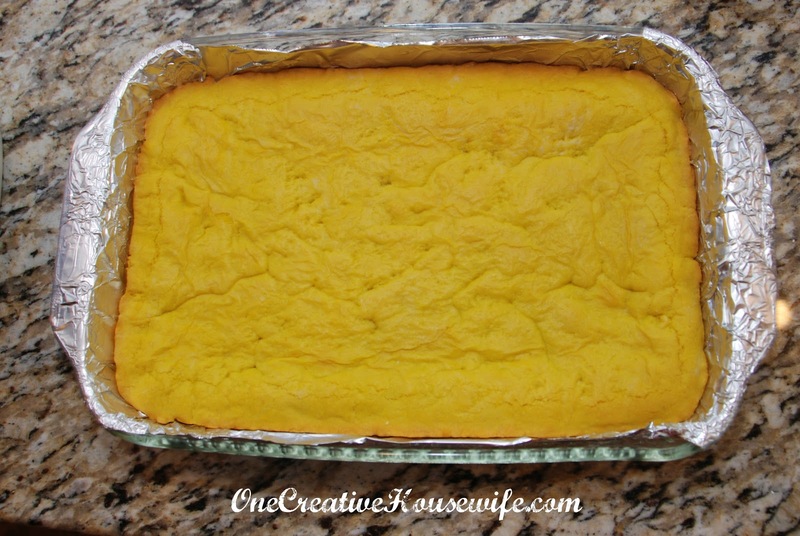 Using the foil, remove the bars from the pan. 5. Spread the frosting on the cooled bars. 6. 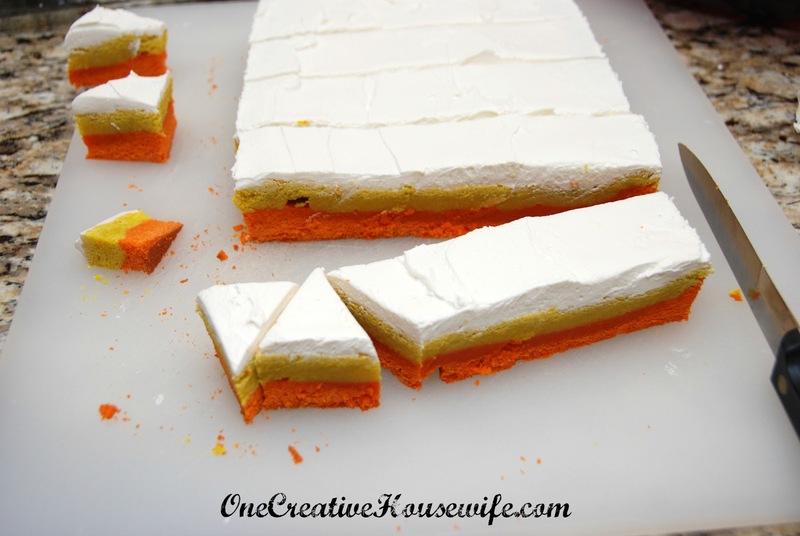 Cut into triangle shaped bars.